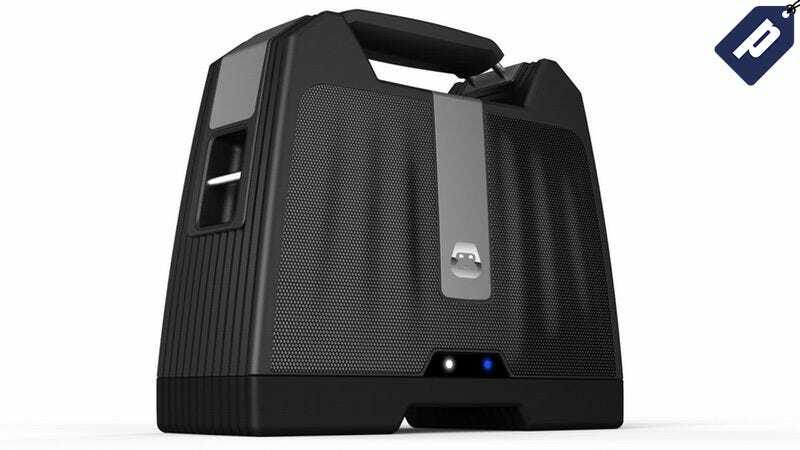 The G-BOOM Wireless Bluetooth Boombox has insane consumer and press reviews, and for good reason - it pumps out huge, high-quality sound for up to 6 hours on a single charge, and its rugged design is built to last. It usually sells for over $100, but you can pick one up today for just $79.99 - the lowest price on the web. The G-BOOM truly has everything you’d want in a portable speaker - award winning sound quality, a rechargeable battery that offers up to 6 hours of playtime, and a rugged build to handle any adventure you want to take it on. It was named the “Speaker of the Year” by iLounge, and current has a 4.5 star review on Amazon, so you know it’s the real deal. It normally retails for over $100, but the G-BOOM can be yours today for just $79.99 + free US shipping, which should take about 3 weeks. You won’t find a better price on the web, but this offer won’t last long - get your G-BOOM today in time for the summer.